Ricardo Del Rio has worked in the film industry since 1983. He started in the visual effects and miniatures departments for several major international productions shot in Mexico City during the 80s such as “Dune”, “Conan – The Destroyer” and “Honey …I Shrunk the Kids”, later as production coordinator, production supervisor, editor and post-production supervisor in dozens of films in the wake of the rising Mexican film industry but he specialized in American feature films shot in Mexico. During the 90s he worked as Location Manager, Unit Production Manager and over the past 19 years he has Line Produced, Co-Produced and Executive Produced many international feature films. Since year 1999, Ricardo Del Río has co-produced/line produced many of the most successful international feature films shot in Mexico including “Nacho Libre” for Paramount Pictures, “The Matador” for The Mark Gordon Company, “The Mexican” for Dreamworks, “Beverly Hills Chihuahua” for Disney Studios, “Vantage Point” for Sony Pictures and “Fast & Furious” for Universal Studios; during this time he has also managed or supervised the Mexico Units of films such as “Kill Bill Vol. 2”, “The Heartbreak Kid”, “The Cave”, “You Don’t Mess with the Zohan” and “Limitless” through his production services company Art In Motion – Mexico. His credits also include “Once Upon a Time in Mexico” and “Borderland” as 1st Assistant Director and John Carpenter’s “Vampires: Los Muertos”, “Deadly Swarm” and “Vantage Point” as 2nd Unit Director. Over the past five years Ricardo Del Rio Executive Produced “Little Boy” for Metanoia Films and “Hands Of Stone”, shot in Panama and New York, starring Robert De Niro, Edgar Ramirez, Usher and John Turturro for La Piedra Films, he Line Produced “Fate of the Furious” for Universal Studios in Havana, Cuba (the first US major motion picture ever to shoot in Cuba since the Cuban Revolution), followed by “Transformers V – The Last Knight” for Paramount Pictures. Ricardo has also supervised several projects for Film Finances International, Netflix Serials and Feature Films for various studios including MGM. Although Ricardo Del Rio has specialized in North American features shot in Latin America, he has written and produced several Mexican features over his 35-year career. As a co-founder of the National Film Commission – México and the Puerto Vallarta Film Commission, Ricardo Del Río has worked closely with Mexican Unions and Official Institutions in the US and Mexico to help develop a thriving and reliable Latin-American film industry that can provide top quality services in Latin America to any production, regardless of its nationality, complexity or budget size. Studied at the “Instituto Mexicano de Cinematografía y Teatro” film school in Mexico City, then he attended several Production and Direction seminars, courses and workshops at the American Film Institute in Los Angeles. In 1983 he worked in his first American Film “Conan – The Destroyer” followed by a series of international productions such as “Rambo – First Blood Part II”, Oliver Stone´s “Salvador” and “Honey, I Shrunk the Kids” for Buenavista Pictures, all in the production department working his way up. In 1988 works as personal assistant of the director Tony Scott during the production of the cult movie “Revenge”. In 1989 he started working as assistant director and for the next 10 years works in numerous music videos and T.V. Commercials. His work as A.D. on Independent films include: “Perfect Target”, “I Still Know What You Did Last Summer” and “Journey Into Amazing Caves”. Also during the 90´s he was a close contributor of the Mexico Film Commission and co-writer of the first Official Film Production Guide in Mexico. In 1999, together with his brother Ricardo establishes the production company Art In Motion-México, S.A. de C.V. to provide production services for foreign films shooting in Mexico. Starting with “The Mexican” with Brad Pitt and Julia Roberts for Dreamworks Pictures, other independent movies follow: “Vampires – Los Muertos” (2001), “Deadly Swarm” and “Puerto Vallarta Squeeze” (2002). After the success in these, Art In Motion begins producing in Mexico studio feature films and Arturo works as Unit Production Manager in Quentin Tarantino´s “Kill Bill – Volume II” (2003) and “The Matador” (2004) for Miramax Films, “Nacho Libre” (2005) for Paramount Pictures, “Vantage Point” (2006) for Sony Pictures, “The Heartbreak Kid” (2006) for Dreamworks Pictures, “Beverly Hills Chihuahua” (2007) for Disney Pictures and “Fast and Furious” (2008) for Universal Pictures. His recent work also includes “Limitless” (2010) for Universal Pictures and “Little Boy” (2011). He was Unit Production manager for “All is Lost” starring Robert Redford in 2012 and Line Producer of “Hands of Stone” starting Robert DeNiro, Usher and John Turturro in 2013- 14, which will premiere on Winter 2015. Recently, Arturo Line Produced the Mexico Unit of MGM’s “Everything, Everything” and Executive Produced the Second Season of Netflix’s “Ingobernable”. Born in Mexico City, she studied English at Concordia University and French at McGill University in Montreal, Canada, Ms. Villalva graduated in 1996 as a Major in Communication & Media at the Anahuac University in Mexico City. She began working in the Production Department of Soap operas such as “La Chacala” and “Perla” for Azteca Digital and later on several television series for TV Azteca. In 1995 worked in the production department on her first feature film “Juego Limpio” directed by Marco Julio Linares. Over the years she has also been Producer of TV Commercials and Music Videos for international artists. After working on her first American film, “The Mexican” (1999), Ms. Villalva continued working in international films such as “Fidel” (2000), John Carpenter’s “Vampires – Los Muertos”(2001) and Robert Rodriguez’ “Once Upon a Time in Mexico” (2001). She then worked as Production Coordinator on “Deadly Swarm” (2001), “Puerto Vallarta Squeeze” (2002), Quentin Tarantino’s “Kill Bill” , “Zapata – El Sueño del Heroe” (2003), “The Matador” (2004) for Miramax Films, “The Cave”(2004), “Nacho Libre” (2005) for Paramount Pictures’ “Vantage Point” (2006) for Sony Pictures, “The Heartbreak Kid “(2007) for Dreamworks Pictures, “Fast and Furious” (2008) and “Limitless” (2010) for Universal Pictures. Then, as Production Supervisor in “Beverly Hills Chihuahua” (2007) for Disney Pictures, “Little Boy” (2011) and just recently, on “Ghosts of the Pacific” filmed this year at the Fox Studios in Rosarito, Baja California. Over the past two years, Sue-Allen has been The Co-Executive Producer of “Hands of Stone”, starring Robert DeNiro and Edgar Ramirez and managed the Mexico Unit of “Everything, Everything” for MGM. Eduardo Ceballos moved to Los Angeles, California to pursue his passion for filmmaking. He attended the Los Angeles Film School, where he graduated with Honors. Later, he attended UCLA Extension, where he got his Professional Certificate in Film Production. Soon after graduating, Eduardo began collaborating with young filmmakers to develop and produced short films, many of which have won prizes and recognition. In 2012, he was invited to participate on his first feature production to produce the EPK / Making-Of on the upcoming “Hands of Stone” starring Robert De Niro and Edgar Ramirez. While was in charge of the Behind the scenes production he quickly became indispensable for the project and became an Associate Producer of the film as well as the Production Manager its New York unit. In 2016 Eduardo worked in the Cuba Unit of Fate of the Furious” and supervised the Mexico Unit of “Everything, Everything”. Currently he is in charge of Art In Motion’s film slate, due to start production in 2018. Eduardo Created Crinsom Cebra, LLC in the US to produce films with relevant themes that activelly help communities and create awareness of social and economical issues in America and around the world. Marcelo Del Rio grew up surrounded by artists, this eventually opened his way towards filmmaking. Working as a boy apprentice to his father, a sculptor, writer and painter who had a profound influence on him, Marcelo studied engineering at Texas A & I University and architecture at the Universidad Autonoma Metropolitana and works in the office of Antonio Attolini Lack and in the studio of Ricardo Legorreta, two renowned Mexican architects, to continue later as an independent architect. In 1990 Marcelo founds Del Rio Producciones, where he designed stands for transnational corporations as well as the corporate image and sceneries of several world congresses. During the same period, he also designed residences in Taxco, San Miguel Allende, Guadalajara, Acapulco, Puerto Vallarta and Mexico City. Marcelo wrote several screenplays with his brother Ricardo during the 1990’s, his first professional film work in the Art Department is as a Set Designer for “The Mexican” (2000) starring Brad Pitt and Julia Roberts. Marcelo’s work over the next twenty years as an architect and designer, proved good enough to get hired in 2002 by the Director Tommy Lee Wallace for the Production Design of the film “Vampires – Los Muertos” starring Jon Bon Jovi and Diego Luna and in 2003, Arthur Seidelman hires him for the same position in “Puerto Vallarta Squeeze” with Harvey Keitel and Scott Glen. In 2004, Marcelo is elected by the Production Designer, Eugenio Zanetti (Oscar winner for the film “What Dreams May Come”) to collaborate with him as Supervising Art Director in the film “Zapata – The Dream of a Hero” directed by Alfonso Arau. Marcelo continues working as Art Director and collaborates in “The Matador” with Pierce Brosnan and Greg Kinnear, and “Vantage Point” with Dennis Quaid, Forest Whitaker and William Hurt. After his work in films like “Beverly Hills Chihuahua” and “Fast and Furious”, he continues to explore various positions within the Art Department, from Storyboard Artist to Production Ilustrator to Set Decorator. He continues working as Art Director – Mexico shoot in “Limitless” (2011), starring Bradley Cooper and Robert De Niro. His most recent collaborations as Art Director include “Little Boy” (2012), directed by Alejandro Monteverde and starring Emily Watson and Tom Wilkinson and “Hands of Stone” working for Production Designer Tomas Voth in (2013/14), starring Robert DeNiro, Usher and John Turturro. 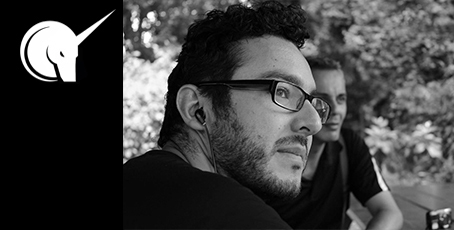 Recently Marcelo was Art Director in the Cuba Unit for “Transformer’s – The Last Knight ” and the Mexico Unit for MGM’s “Everything, Everything”. As AIM’s Creative Director, Marcelo has created many of the stories from which Art In Motion’s Film and Serial slate are based.